After learning the manual labour of sowing, hoeing, ploughing potatoes and harvesting crops, some Land Girls learnt how to become ‘mechanised’ and use a tractor. This type of work was completely different to anything they had done before, with the emphasis being on more independent working. 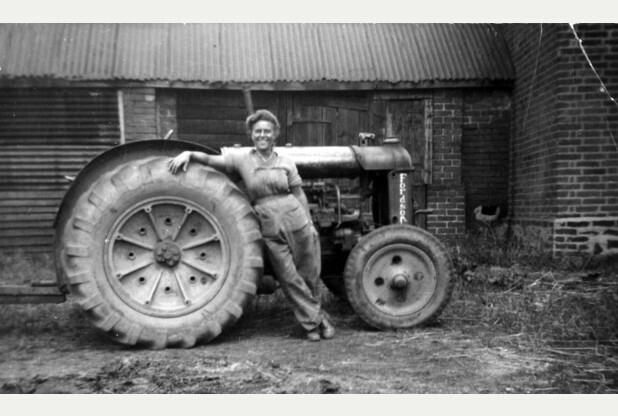 Most Land Girls knew nothing about driving, let alone how to drive a big ‘Fordson’ tractor with a powerful engine. It was here that the Land Girls developed their relationships with the male farmhands, as they were the ones who instructed the Land Girls on how to use the tractors. Tractors were, as to be expected, very different to today’s modernised machines, and had to be started by hand with turning a handle, in order to get the engine going. With driving a tractor came the responsibility of looking after it, especially in the winter. ‘In the winter I had to drain the radiator [each night] before covering it up with a large tarpaulin (Snelling, 2004, pp. 70 – 71).’ When forgetting to do this just once, the cylinders got cracked, much to the despair of the main farmer who had to find replacements in war-stricken Britain.’ This goes to illustrate the daily responsibilities which were placed upon the shoulders of these young women, who were now in charge of expensive farming equipment. In The Archives: A letter sent to a Land Girl informing her of the results of her tractor proficiency test.